A 26-year-old doctoral student at the University of Georgia ran for, and won a seat on the Athens-Clarke County Commission, representing District 2. However, when she was sworn in, she refused to place her hand on the Bible, or even use a Bible. Instead, she used Malcom X’s autobiography and raised her right hand in the form of a fist. 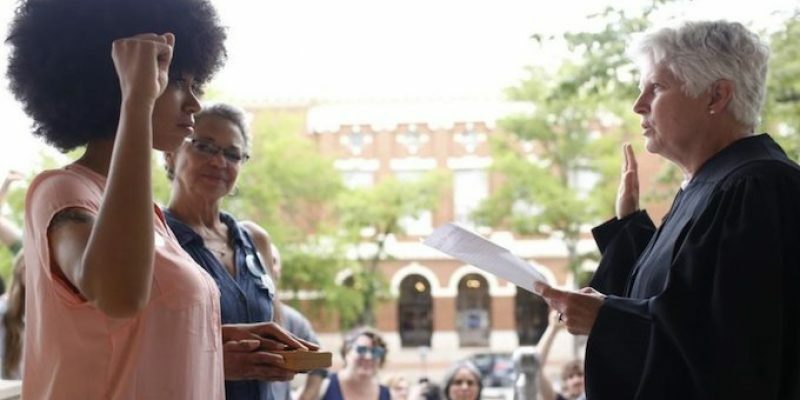 Mariah Parker narrowly won by 13 votes as one of the new council members in one of Georgia’s biggest cities. She campaigned saying she would bring “bold, progressive leadership” to Athens, which included choosing Malcolm X over Jesus. “They asked if they would like the Bible and I said no. My mother asked if there was a copy of the Constitution around. No,” Ms. Parker told the Atlanta Journal-Constitution about her swearing in ceremony. What on earth is this world coming to, not just that she did this, but that other people think it was a good idea. How ironic that she chose an author who preached hate and violence instead of one who preached love and nonviolence.